If your skin feels tight and your face looking a little haggard then the amino acid called L-Carnosine may be of help to you. This naturally occurring protein building block helps your skin and being concentrated in the muscles you will see additional benefits to your heart and lungs from this element. 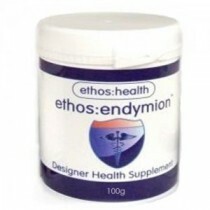 Our bodies produce many important minerals from the foods that we eat. L-Carnosine is one of those protein body builders that all of us need on a daily basis and in different amounts based on our ages and weight. Your heart, muscles and lungs would not keep on working if it were not for this important body building element. It is produces in your body when your muscles move and is carries through your veins to all of your organs. Fans of Dr. Oz were among the first to bring notoriety to this body builder once he exposed that the same acid that helps your heart and lungs can also block the effects of aging. This anti-aging effect helps you to be able to slow down the breakdown in your body that occurs during the normal aging process. 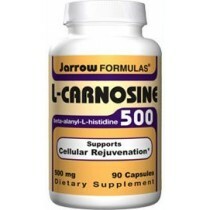 If you want to look younger adding significant amounts of L-Carnosine to your system may or may not be the way to do it. Caution must be taken because there is just not sufficient evidence as to what the long term effects on your whole system might be. This is a very important part of your body’s functioning organs so the effects of a significant increase are just not known, so your doctor will caution the unregulated dosages just for the anti-aging capabilities. Exercise care as you would with any substance that you ingest and your experience should be a younger looking body that performs adequately.